Eastern Europeans love the combination of sweet and sour flavors just about as much as they love to preserve foods. Here is a wonderful recipe for sweet-and-sour pickles. In Polish, this is known as słodko-kwaśnym ogórkiem (SWOHD-koh KVASH-nim oh-GOORR-kyem). This is just one and it doesn't require a hot-water bath, so the jarred pickles must be refrigerated (up to two weeks) until eaten. In a large bowl, combine cucumbers with onions, green peppers, garlic, and salt. Let marinate 3 hours. In a large saucepan, mix vinegar with sugar, mustard seeds, celery seeds, cloves, and turmeric. Bring to a boil. Add the marinating liquid to the saucepan and again bring to a boil. 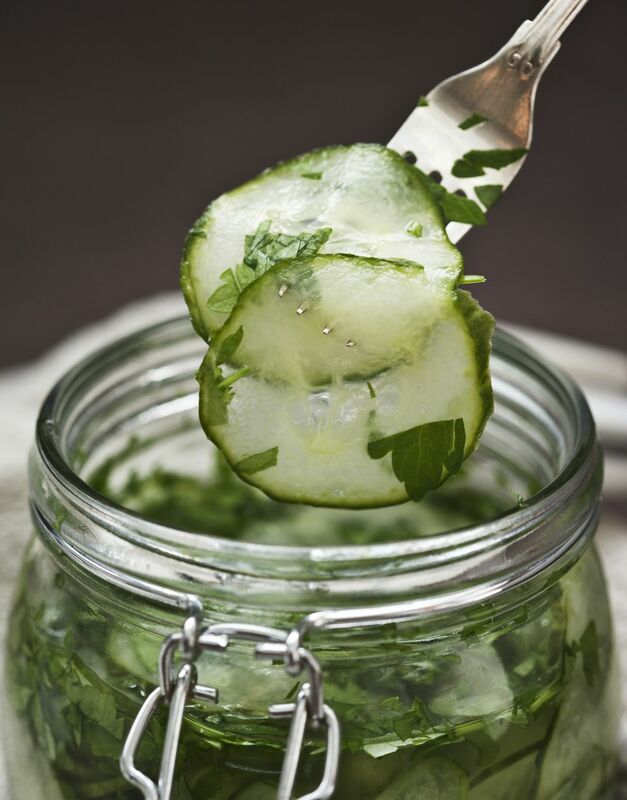 Meanwhile, fill up to 8 sterilized quart jars with sliced cucumbers, vegetables, and spices, packing tightly. When vinegar mixture returns to the boil, immediately pour it into the jars, leaving 1/4-inch headspace. Cover with sterilized lids and rings, screwing them on. Turn upside down on a clean cloth and cool. Refrigerate cooled pickles until ready to serve.